Night skiing until 22:30 - it's really long ... 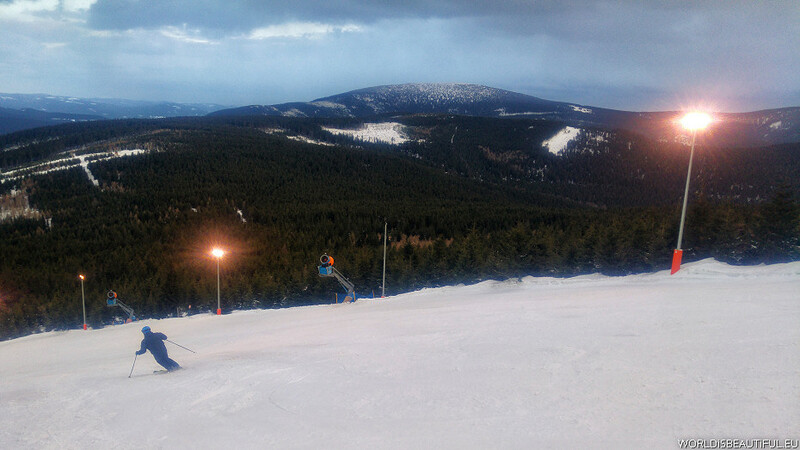 The longest illuminated slope is 1,680 m. You can ride on two shorter blue ski slopes. Blue ski trail and Sienna on the spherical photo.